American manufacturing expanded at a stronger pace than expected in January, close to the fastest pace since 2004. The ISM Manufacturing Index was little changed in January at 59.1, above expectations of 58.6 and close to the December figure of 59.3, according to data from the Institute for Supply Management. Any reading above 50 indicates expansion. This gauge of U.S. factory activity remains close to the 60.2 reading in September, which was the highest since June 2004. The average for 2017 was 57.4. 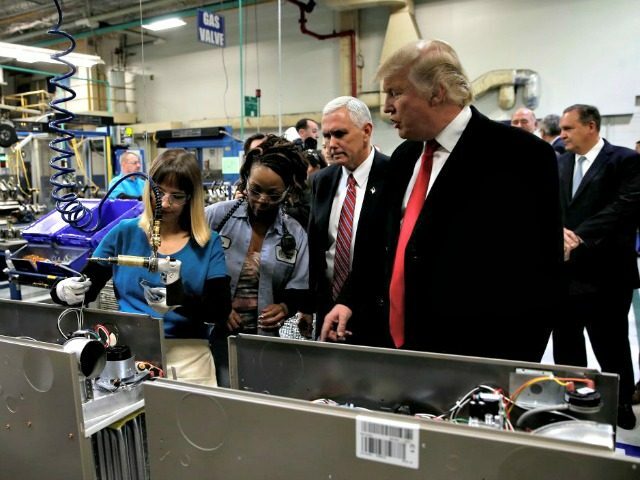 The January reading indicates that the expansion of U.S. manufacturing, a key political goal of President Donald Trump, of 2017 is still going strong in 2018. Export orders also advanced to 59.8, the strongest since April 2011. Growing U.S. exports is another priority of the Trump administration. The strength of manufacturing is likely an indication of stronger growth in the overall economy. Productivity for U.S. manufacturing firms rose at a 5.7% pace in the fourth quarter of 2017, the Department of Labor said in a separate report Thursday. That’s the best quarterly gain since 2010. Overall productivity gains in 2017, however, were below the long-run average, as they have been every year since 2010. Non-farm business-sector productivity, which is measured as goods and services produced per hour worked, advanced 1.2 percent from 2016.